A few things I picked up were some artists primary honor of the most high beyond the cliche. Some of the S/O’s to God may have been generic, but I could tell a few of them were hard learned and sincere This time around the enlightened, efficient use of platforms to glorify more than the next project, but call for revolution and bring awareness to pressing cultural issues was also inspiring. There was a noticeable difference between which artist are more intrinsically liberated and naturally gifted. but instead of getting into the politics of it all, I’ll just share a few of my favorite moments, because we all just came here to have fun anyway. Big Sean’s tech powered performance with the digital background highlighted to me the importance of “Black Excellence” aka “us” in STEM fields (Science, Technology, Engineering, and Mathematics) I was really feeling the multiple Big Seans and the automated pixelation he had going on. The lit part about it is not Sean by himself, but the engineers and scientist who know how to do all that. S/O to the people who we don’t see working behind the scenes. STEM, not necessarily “cash” plays a major part in ruling everything around us, It’s S.T.E.A.M. especially in this digital age, it’s imperative to be familiar with it. STEM knowledge can help one “magically” manipulate the game in there favor, see “Sleight” but Big Sean had a pretty good STEM reference…” I’m all charged up and God is my source”…deep. The elevation of Black Girl Magic is a game changer. The glow of Chloe and Halle, Yara Shahidi, and Egypt Ufule, the 12 year old fashion designer featured in the Ford ad is the fruit of self-confidence and empowerment that’s been sewn by the conscious matriarchs of our culture. From Michelle Obama’s tribute to chance the rapper to Chance the rapper… being Chance the rapper. Yes, let’s “gas him up”!! I was for the most part unaware of his humanitarian work in the community. It was great to see the work being highlighted and him intentionally honoring the call to action in his path. It was reminiscent of Jesse Williams who adamantly used his platform to speak up at the previous BET Awards. Those dreamy eyes were looking up in respect as chance spoke. Solid! Initially the aspect of Leslie Jones hosting the show drew my respect for this year’s show. I caught it mid-way to find that yes she was loud, but had skits to emphasize what it’s means to work hard, not give up and go from zero to shero. Refreshingly, Leslie Jones is not the typical “Hollywood beauty” but owns her skin and knows how to be terrific in it. We saw, let’s market that dynamic more, and “Lil Yachty in the yacht”!!! Very impressive. Another thing is that as controversial as it sometimes is, in my coming of age is my recognition that weaves and lashes are a flyy girl rite of passage in some sense. “It takes money and time to be fly as a mutha” word to Daya. Who are we not to be flyy? As expected Lashes were everywhere even Michelle Obama was in on the action. Apparently blonde hair is trending everyone from Karrueche, to tiny, to tamar had platinum strands? Whether we’re embracing our own beauty or trying on different ones, were just fly. Shout out to “My Black Is Beautiful” for giving all that grant money to worthy causes. What was your favorite part of the BET Awards? Hit me up on twitter @aprilinspired and let’s talk!! 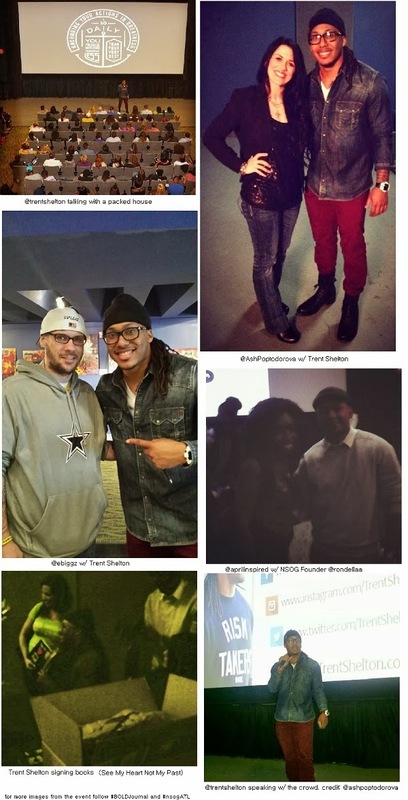 On a stop in the ‘Nothing Short Of Greatness’ Tour, Motivational Speaker Trent Shelton, NSOG founder Rondell Anderson, and others rocked Atlanta, GA. The event was held at Midtown Art Theatre. Empowerment filled the atmosphere as Shelton addressed the crowd, and the audience shared their insight and questions. The discourse was lively, engaging, and extremely motivational. Nothing Short Of Greatness held up to it’s name, by delivering greatness and beyond! The event brought out the best members in the Atlanta community, highlighting and engaging more inspirational media outlets. Professional Speaker and Blogger Ashley Poptodorova set the stage for Trent by sharing a positive testimony. Breath Of Life Daily captured a bit of the event. The next stop on the ‘Nothing Short Of Greatness’ Tour’ was Phoenix, Arizona. The complete list of event times and dates are posted at nsogreatness.ticketbud.com For more updates and info about ‘Nothing Short Of Greatness’ connect with the founder Rondell Anderson on Twitter and Instagram: @rondellaa. Follow the hashtag #nsogATL for more “touch down” times in Atlanta. 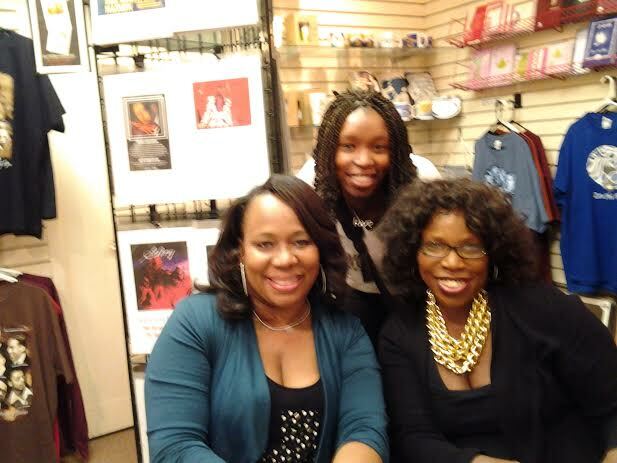 Recently Authors Victoria Christopher Murray and Reshonda Tate Billingsley made a visit to Medu Book Store in Atlanta, Georgia at the Greenbriar Mall. The Authors talked about their latest books and their new publishing ventures. Both are leading African-American Authors in the publishing industry who founded Brown Girls Publishing. The Authors founded Brown Girls Publishing to help get the voices of other talented Writers out into mainstream media. The partnership between the two Authors has been very productive. Reshonda’s book “Let The Church Say Amen” is set for film adaptation to be produced by Queen Latifah’s Flava Unit Productions, among others and Directed by Regina King. The film will include a cast of notable stars and entertainers, along with a cameo by Reshonda herself. 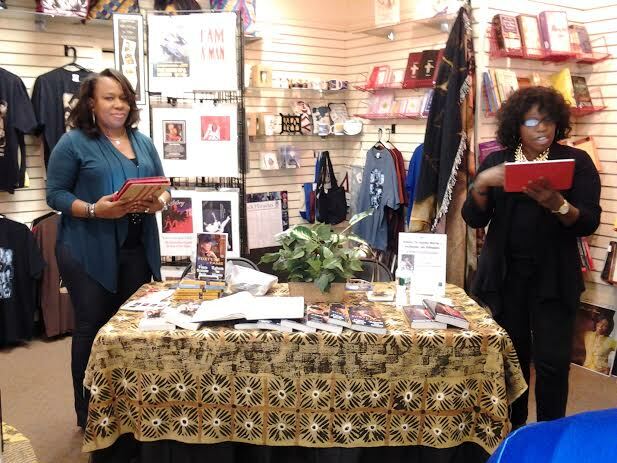 At Medu Bookstore in Atlanta, the Authors caught fans up with their latest works and introduced one of their new premiere Authors in the Brown Girls Publishing line up. Their latest book “Fortune and Fame” tells the story of Jasmine Cox Larson Bush and Rachel Jackson Adams two first ladies who get caught up in a whirlwind of Drama, Murder, and Reality T.V. with a twist only the partnership of Billingsley and Murray could offer. 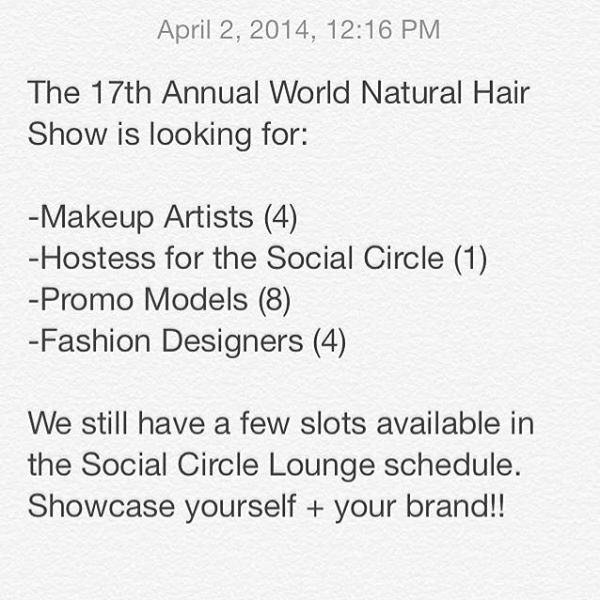 World Natural Hair Show Looking For Models, Designers, MUAs, etc. Do You Have Natural Hair? Interested in being a model? 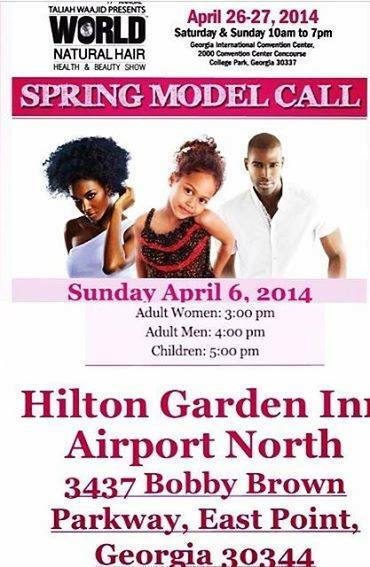 Come out to the Taliah Waajid Spring Model Call Sunday. Taliah Waajid is the Founder of the World Natural Hair, Health, and Beauty Show along with Awesome products!